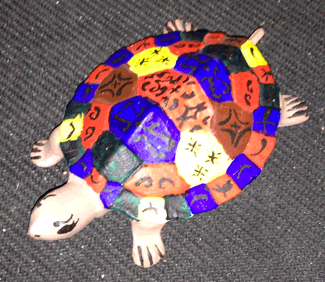 This was a plain white ceramic bisque turtle that was hand-painted using acrylic paint. It has no makers marks. It has a lot of detail, with black markings painted in a rune-like style. 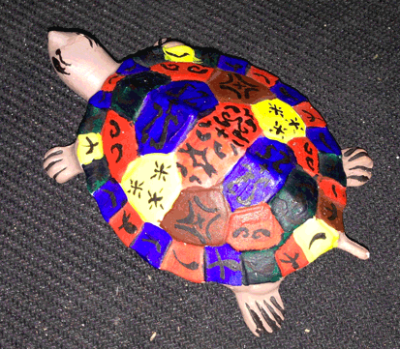 Her face is carefully painted with eyebrows and eyelashes, and each shell plate alternates base colors using, red, rust, blue, green and yellow. 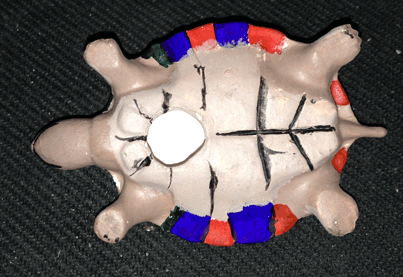 The belly of the piece also has been given some detail. 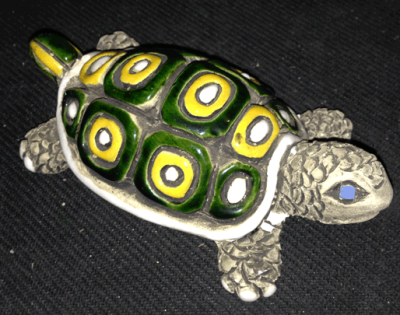 This little tortoise or turtle is 3 inches long from nose to tail, 2 inches wide, and about a half an inch thick. It weighs 0.8 oz. It has a one-of-a-kind paint job, and is over 30 years old. 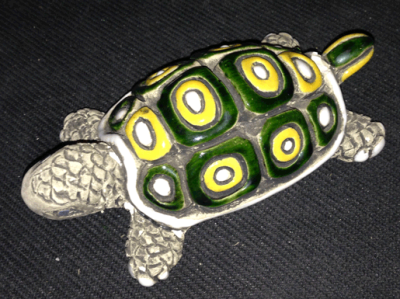 This hand sculpted tortoise has a lot of detail. 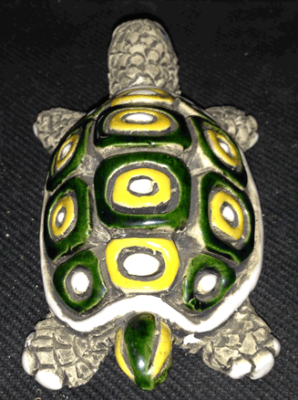 The shell has been carefully glazed in glossy green, yellow and white. The eyes are glazed blue, and the toenails are white. 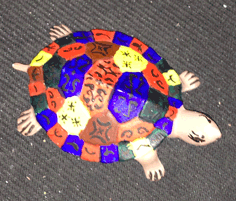 The body of the tortoise has also been painted to enhance the sculpted scales and belly. 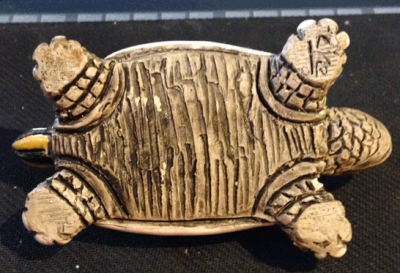 This piece has a maker's mark; there is a close-up in the pictures below. I believe this piece was purchased in Houston, Texas, and it is over 30 years old. 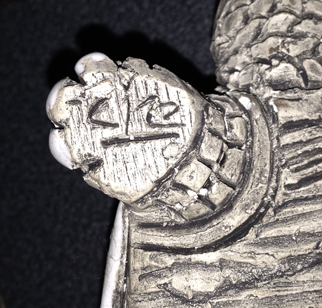 It has some chips so that the white bisque shows clearly around the neck and front legs, but this could easily be hidden with a touch up on the paint job. It also has a chip in the glazed white edge of the shell above the tail that doesn't show up well in the pictures, because the clay is white as well. I remember this artist made many different pieces in this style. 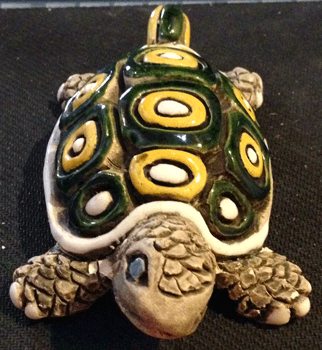 This little tortoise sculpture is about 5 inches long, 1.5 inches high, and 2.5 inches wide at the front feet. It weighs 6.4 oz.